If possible, allow the fruits to soak in 100ml of whiskey or brandy overnight. Mix all the dry ingredients together in a bowl. Add the brandy-soaked fruit and mix until all the ingredients are combined. Add the lemon rind, juice, melted butter and eggs and mix well. Place in a well-greased 1½ pint/850ml pudding bowl. Cover with two well greased pieces of greaseproof paper, making sure there is a fold across the middle. Place a double layer of tin foil or alternatively the lid of the pudding bowl on top. Place the pudding bowl into a large saucepan half-filled with water. Steam for 5½ hours, making sure that the water does not boil off. After the cooking time has elapsed, remove the pudding from the water, remove the lid and greaseproof paper and allow the pudding to cool down completely. 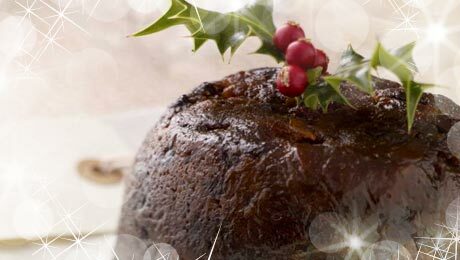 On Christmas morning, you will need to steam the pudding for a further 3½ hours. The process is the same as before. Serve with softly-whipped cream with a little brandy mixed into it.